Research by a team of coastal scientists at the University of North Carolina at Chapel Hill’s Institute of Marine Science is gaining national recognition. 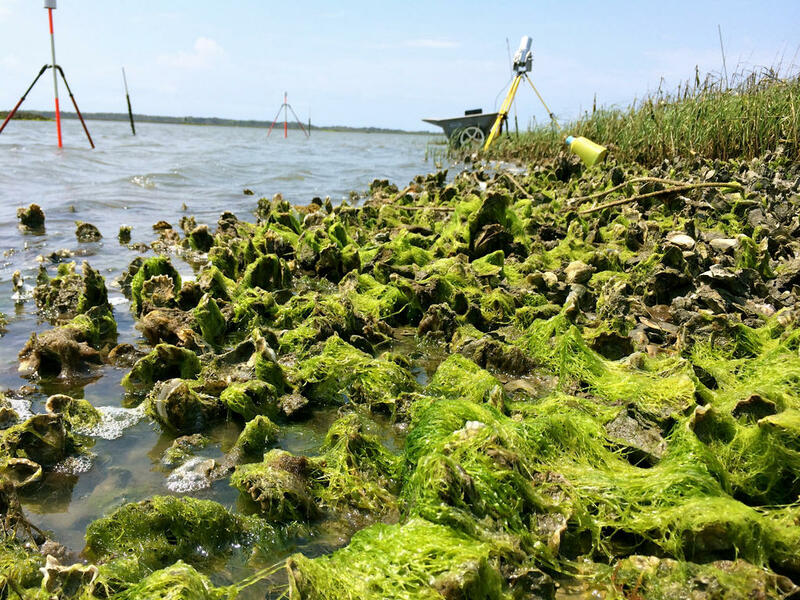 The study looked at the rate at which oyster reefs grow and if they’ll be able to keep pace with rising sea levels. 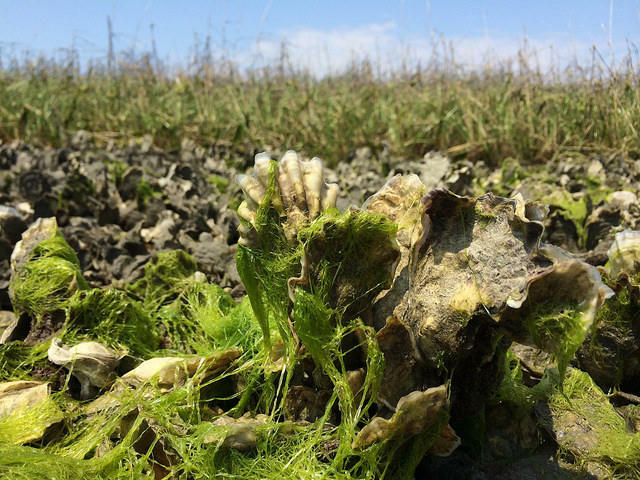 After 10 years of study in coastal North Carolina, the results show that oyster reefs grow much faster than previously expected and can also be an effective way of slowing erosion. 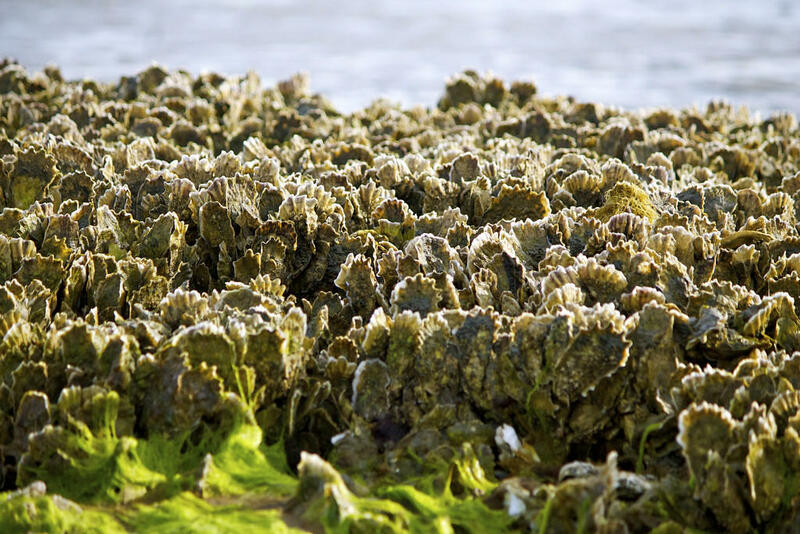 Public Radio East's Jared Brumbaugh spoke with Dr. Antonio Rodriguez, associate professor of marine science at the Institute of Marine Science about the research project and how the creation of an oyster reef could be more effective than a bulkhead for protecting the shoreline. Middle Marsh Panorama - Justin Ridge and Dr. Antonio Rodriguez film in Middle Marsh, NC, in preparation for a workshop for NC teachers taking place June 16 - 18.